hoverboard or folding electric bicycle for daily travel ? Although may countries and big cities have explicitly banned hoverboard on the road, but this kind of cool back to the future hoverboard is still appearing in many areas on the road. 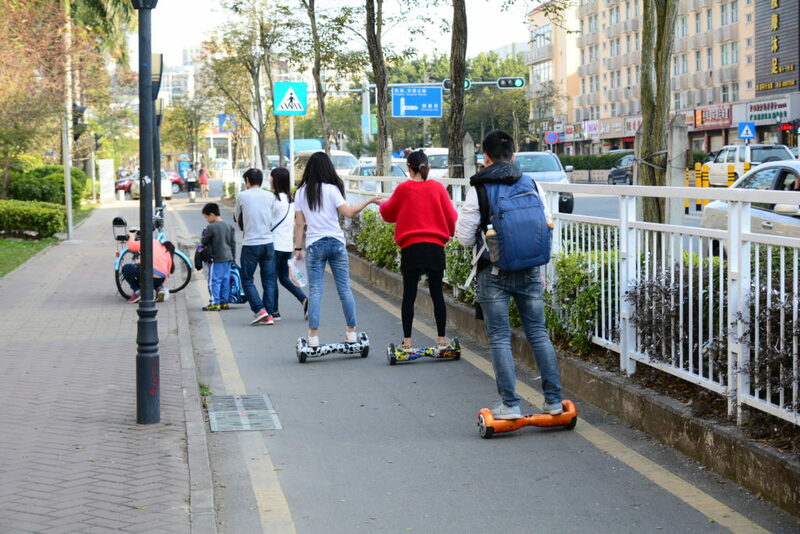 Due to the small size for portable, balanced hoverboard was being used by a lot of young fashion people for short distance travel demand of welcome. Not only that, at night, the self balance hoverboard has become a transportation tool for those who help driving at night. Professors remind that hoverboard still can’t being ride on the road,and some hoverboards have security risks and may cause security incidents because many hoverboards manufacturer use low cost parts for marketing competition, which is the main reason why you can heard of the hoverboard accident occasionally. Fortunely, Knight folding electric bicycle is a wholly legal on the road electric bicycle designed at a maximum speed of 25km/h , with mechanical disc brake , lead head light and rear brake light, it is a ideal folding electric bicycle for European countries and United States. We recommend customer to travel and do exercise with Knight folding electric bicycle , and have fun with hoverboard in a closed environment such as playground and lonely path. Folding electric bicycle : 12 inch or 14 inch wheels ? Folding electric bicycles can be found ranging from 12 inch to 16 inch in wheel size.Then how much inch wheels should you buy for folding electric bicycle ? To start off with, there are the super compact folding electric bicycle with 12 inch wheel size. These are the smallest folding electric bicycles and are super easy to carry and store. The small size of the wheels means that you or the motor ( as the folding electric bicycle can be operate in three model: mechanical mode which is totally like a folding bicycle without any battery, electric mode working like a electric scooter, and self electric mode help you to climbing up ) would have to put more effort to over the same distance compared to a 16 inch folding electric bicycles,but you will feel easily when climbing up and the 12 inch mini folding e bike makes it more energy saving.Also, with a 12 inch folding electric bicycle, it is more flexible turning left or right but you would feel bumps on the road more easily compared with 16 inch folding electric bicycles. The 16 inch wheel sized folding electric bicycle,you can have a faster speed, although a bit more electricity consumption.They break down less often, they are super comfortable to ride on, and it is a bit difficult for storage. This beats the purpose of a folding electric bike as folding electric bikes are built to be carried around easily. 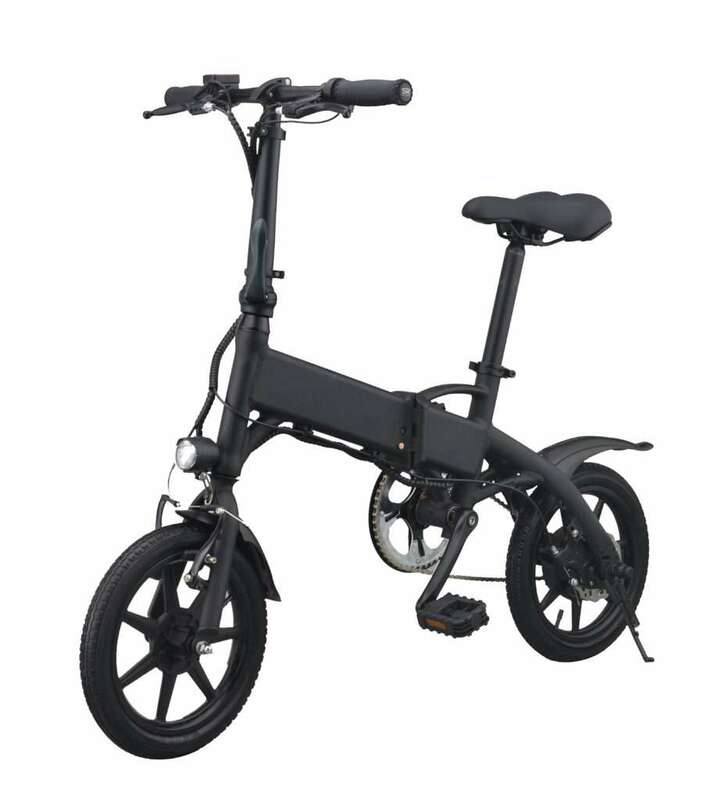 So actually, Knight folding electric bicycles mainly provide 12 inch or 14 inch wheel size, for other size, you need to order in advance and wait for 10-15 days to have your wholly customized folding electric bicycle. In our daily lives, many people have the wrong understanding of folding electric bicycle,we would to talk about folding electric bicycle again and hope consumer would avoid these mistakes when purchasing. Many people think that bicycles are travel equipment for poor , which also led to a number of folding electric bicycle is also associated with people this impression of cheap product. In fact, many developed countries in Europe and United States, bicycles, smart balance wheel and other travel equipment, is essential for each family, mainly for daily short trips, weekend leisure ride, etc., for them, this is a way of life , Rather than cheap means of life. For leisure ride, or travel? For daily use, how many driving mileage do you need? Will other family members or friends use this folding electric bicycle too? I want to explain for the last question because if there are other people using it, then we must consider our own needs and others, so we can select the most suitable folding electric bike. 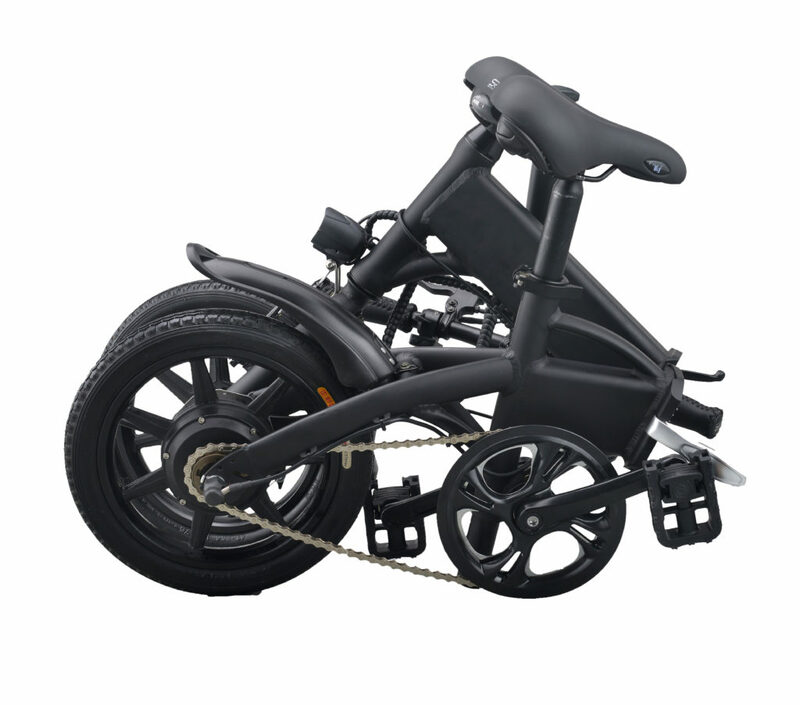 In response to this question, Knight folding electric bicycle has also made the corresponding solution, customer can adjust height of the handle bar and chair ensure that the user riding with most comfort. During the design of folding structure, not only consider how to fold the electric bicycle to the minimum size, but also need to consider is it difficult for folding, whether it takes too much effort, repeated folding operations will affect the stability of frame or not . 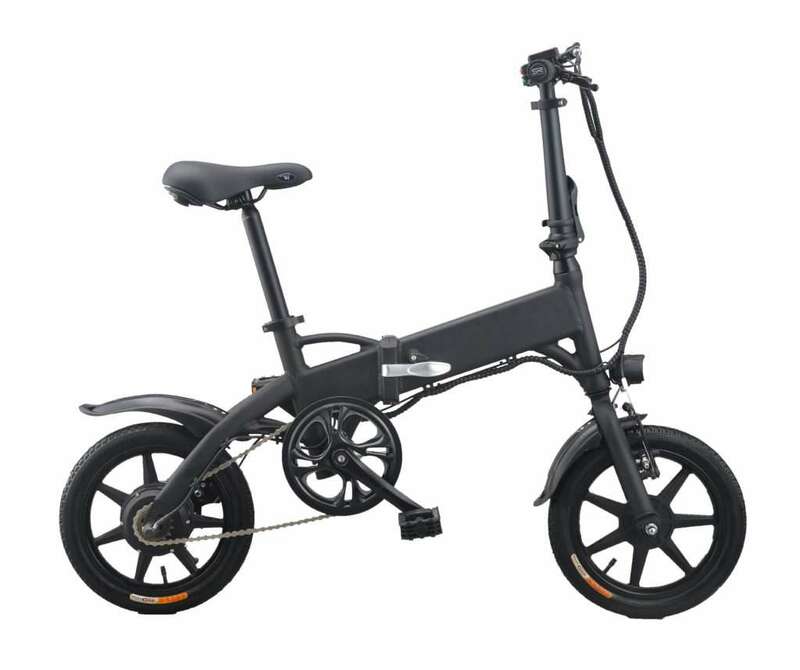 A good folding electric bicycle shold be easy to operate without too much effort, and repeated folding will not cause surface paint get off , folding structure loosen and other issues, as long as with careful maintenance, you can use it for a long time. Folding structure is designed to be portable easily, so many riders think the lighter a folding electric bicycle the better it is. In fact, this is not absolute. Bicycle weight mainly affected by the frame materials.Currently,the main material for the bicycle frame are: steel, aluminum alloy, carbon fiber etc.Carbon fiber is the lightest and most expensive, people familiar with the four wheel drive vehicles should know that how expensive a carbon fiber made part is, and if a folding electric bicycle made of carbon fiber entirely,this kind of folding electric bicycle price can be bear by only few people.Common folding electric bicycle frame made of aluminum alloy which ensures a long life time, strong enough and rust free. However, you need to consider many points while purchasing a folding electric bicycle, of course, if you can have a testing riding, it will be better. On 2nd Sep 2016;Samsung Electronics official sources saying that:due to the exist fire risk problems of cellphone battery, Samsung is expected to be announced worldwide recall GalaxyNote 7 cellphone. Unfortunately, any product containing batteries have the possibility of explosion, the recent frequent Note 7 explosions is not new, little cellphone brand not ever explode, and even Apple’s iPhone has spread over the bombings. By the mobile phone battery explosion so I have to think of the beginning of 2016, the balance scooter explosion events. In early 2016, the continuous balance scooter explosion events and passenger falls incident prompted the US Consumer Product Safety Commission issued an open letter, saying that “all balance scooter in US market is not safe,” the US Amazon,Target etc. retailers have banned the balance scooter. By the end of 2015, the United Kingdom and Australia have issued a ban to disallow the smart balance vehicles riding on the road. Whether cellphone or balanced scooter exploded, why battery involved every time?why the battery every time it? MIT Technology Review recently published an article say that:up to today we have not used a better energy storage device than lithium ion batteries which has 40 years’ history , that is to say, Lithium battery is still the best batteries currently, and However, the technology is good, lithium batteries are still explode from time to time, we can’t understand it. But don’t worry too much, because the trend of lithium ion, lithium ion batteries have a higher energy density, power density and better cycle performance and reliable safety performance. Battery is not the main criminal,high temperature is.Here we want to explain the lithium ion battery structure:Lithium ends into positive and negative poles, the middle filled with electrolyte, the voltage flowing through by bring the lithium ion from one end to the other end, which is the charge and discharge processes.This process usually will not have a problem, but when a problem occurs, it will very quickly have great consequences. What will be the problem? One common problem is battery overheating cased by overcharge, it may cause the positive chemical changes and finally burst into flames or explosions. Do not think that overheating only happens in the overcharge process, overheating will cause accident too.As the negative pole contains oxide which will have a chemical reaction with the electrolyte , and thus heat generates. And bad battery is also have a possibility that there are impurities ran into the electrolyte resulting in the above reaction. Do not underestimate this battery overheating problem, because overheating will cause the reaction accelerating, once the temperature rise up to 150 ℃ or even higher, it may fires in your pocket or in the bag. Logically, any balance scooter or cellphone manufacturers have measures to avoid battery overheating which resulting in fire or explosion; but even the original Segway balance scooter is no exception for fire and explosion, more and more balanced scooter explosion occurred frequently, what’s problem? The battery itself, there is usually a chip built in to prevent overcharging or over-discharging. Some buyers and importer want to have a good price,and continuously bargaining with supplier, the only way supplier can do is to use bad battery cell, battery protection chip, even they remove the chip.That’s very dangerous, you are going to kill your buyer,end customer and destroying the balance scooter industry. Balance scooter is a good innovative scooter ever, i hope everyone try our best to protect this product. Good news is that scientists have been advancing in the direction of invent no-overheating batteries . Researchers at Stanford University designed a mechanism, they invented a film, if the battery is overheating, this film will continue to expand until the negative electrode was coated so that current will be blocked. When we constantly emphasize how big the battery capacity is, how long the endurance time is, Please also stress the battery safety .This should be a problem balance scooter manufacturers need to think about. Everyday it seems like there are more cars on the queue as the day before. With millions of vehicles on the road, and more joining the pack daily, the roadsare quickly reaching their maximum drives. It’s obvious it used to take a little while to go the 5 miles away store in the past and now it requires over an one-half hour to go the same. Ladies and gentleman, what are we try out? They are handy for quick trips for Mom to the store or to visit a friend down the highway. Or maybe to a bigger adventure since several of the scooters are capable of running to a max of 40 minutes continual from a good retailer. 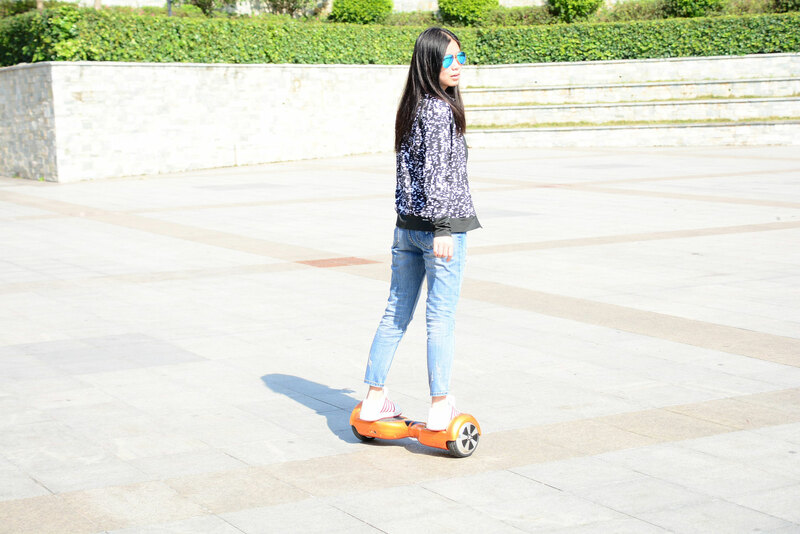 Xuan Wei XWZ-002C two wheels hoverboard are ideal for flat surfaces. If your neighborhood is conducive to riding you’ll need to look into scooters for your children and adults in your beloved. There are so many two wheels hoverboards for people of every age. These fun items come need sizes and colors. You can buy any size to fit anyone to create sure they possess fun and safe journey. But i would like to recommend the 6.5 inch self balance hoverboard to you, since it is suitable for most people, safe and price is very competitive.This self balance hoverboard for children and adults do not require any special license to try. You can have hours of fun during your practice before riding on the street. If you’re up for extreme bidding then, Xuanwei is the right place you should head at. When you’re in eBay or Amazon do search with these keywords ” self balance scooter ” , ” hoverboard “, you can find hundreds of sellers for these items,use your pen and paper to write the prices they quote to you. And then you can contact us to make a price comparison , you’ll find how smart you are. After some creativity and true recognition of the machine’s functionality, you ‘ll maximize the utilization of your electric scooter. After all, you paid for the product. You might as well get maximum bargain.